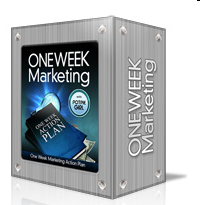 I am two weeks into my One Week Marketing campaign and how am I doing? Well, as anticipated my "one week" took a little longer than 7 days (11 days in fact, which was not too bad) to set up my first campaign. I have now made a tentative start on my second campaign, and already behind schedule as I have a certain amount of research to do! So, the big question... have I started making any money? To be honest I was treating the first couple of campaigns as a learning experience so I was not expecting to really make anything in the first few weeks. 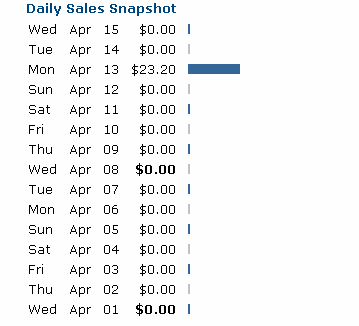 But.... after months of looking at my Clickbank account flatlining at zero I have finally made a sale! Only one, so I should not get too carried away, but it felt like my first "Yee-ha" moment as a novice internet marketer. I guess for some of you seasoned affiliate marketers this is probably pretty insignificant, but for me it is huge! It means that the work I have put in is starting to pay off and there hope of making significant money of One Week Marketing if I continue to apply the methods described.